Do you feel like your relationship is going in circles and nothing seems to get it on track? 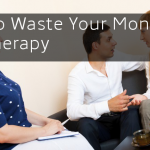 In my couples therapy sessions I see so many couples continue trying to fix the problems, but they keep ending up at a dead end. It can be very frustrating and exhausting. I help couples navigate through all the complicated areas of love relationships: financial, sexual, verbal and non-verbal communication, interpersonal dynamics, and more. If you are looping over and over within the same arguments, if you feel disillusioned and frustrated… it doesn’t have to be this way! There is hope. In our therapy sessions we will get you the tools to work together, stop fighting and start enjoying your relationship. I will have you fill out a couples therapy questionnaire to assess where you see your problem areas as a couple in order to get us started in working together to solve these. We will work on couples counseling exercises that allow us to get to the root of the issues. Between sessions I will give you the tools, such as healthy relationship worksheets or communication worksheets for adults, to work on your relationship outside of our sessions so you can continuously get the most out of attending emotionally focused therapy in San Diego. Whether it’s working through trauma (in the relationship or personal trauma one of you has faced), rekindling the romance, overcoming an obstacle, or premarital counseling in San Diego you are looking for, we’ve got you covered. In the mean time check out our website to find materials on individual and relationship growth – such as couples counseling tips – as well as information on upcoming couples retreats in San Diego. Get the help you need with Jennine Estes, your San Diego Therapist – certified in Emotionally Focused Therapy for couples, EFT Supervisor in Training, and EMDR Basic Training completed.